This blog is a personal blog. I am not a sports expert, doctor, nutritionist, or medical expert. This blog is for information and entertainment purposes only. Consult your doctor for medical advice related to starting or modifying any physical fitness or for advice or treatment of injuries. This blog may accept forms of cash advertising, sponsorship, paid insertions or other forms of compensation. The compensation received may influence the advertising content, topics or posts made in this blog. That content, advertising space or post may not always be identified as paid or sponsored content. If the owner(s) of this blog is compensated to provide opinion on products, services, websites and various other topics or receives compensation for posts or advertisements, the owner will give her honest opinions, findings, beliefs, or experiences on those topics or products. The views and opinions expressed on this blog are purely the bloggers’ own. Any product claim, statistic, quote or other representation about a product or service should be verified with the manufacturer, provider or party in question. Your use of, and access to, Darling Hill and its sites indicates your acceptance of these Terms and Conditions. Proprietary Rights. Your use of Darlinghill.com does not grant to you any ownership or interest in any content, code, data or materials you may access on or through the Sites or any intellectual property rights subsisting any content, code, data or materials you may access on or through the Sites. Intellectual Property. 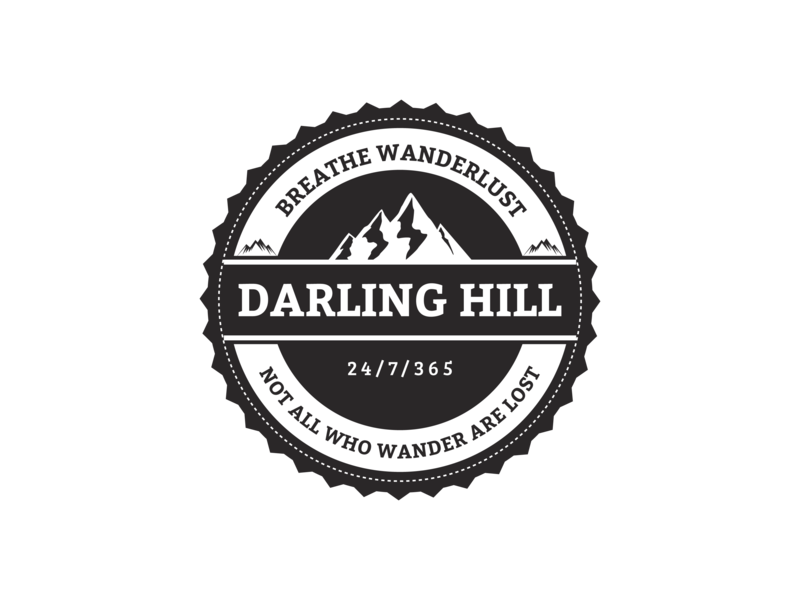 All trade marks, logos, service marks and trade names displayed on Darlinghill.com comprises the intellectual property of Darlinghill.com. Nothing contained on Darlinghill.com should be construed as granting expressly or by implication any license or right to use intellectual property displayed on Darlinghill.com or its sites without the written permission of Darlinghill.com or any applicable third party that may own the applicable Trademark. Changes to Terms of and Conditions. Darlinghill.com may, at its sole discretion, revise or change these Terms and Conditions (in whole or in part) at anytime without notice to you. Changes in the Terms and Conditions will be effective when posted. Your continued use of Darlinghill.com, its sites or services after any changes to the Terms and Conditions are posted will be considered acceptance of those changes. User Information. In the course of your use of Darlinghill.com, its sites, services, or the content or services made available on, or through, the Sites, you may be asked to provide certain user information. Darlinghill.com information collection and use policies with respect to the privacy of such User Information are set out in the disclosure policy. You are solely responsible for the accuracy and content of User Information and Darlinghill.com bears no responsibility or liability whatsover for any unintended access to user information. Linking to the Sites. You agree that if you include a link from any other web site to the Sites, such link must link to the full version of an HTML formatted page of the Sites. You agree not to link from any other web site to the Sites in any manner such that the Sites, or any page of the Sites, is “framed,” surrounded or obfuscated by any third party content, materials or branding. Disclaimer. All content and services on the Sites is provided “as is” and without warranties of any kind, either express or implied, including but not limited to implied warranties of merchantability and fitness for a particular purpose. Darlinghill.com does not warrant that the content or services contained herein or your access to Darlinghill.com will be uninterrupted or error-free, nor that any defects will be corrected or that the Sites or the server which stores and transmits content to you are free of viruses or any other harmful components. Darlinghill.com does not warrant or make any representation regarding your access to, or the results of your access to its sites (including any related or linked web sites) or any content in terms of correctness, accuracy, timeliness, completeness, reliability or otherwise. Under no circumstances (including but not limited to any act or omission on the part of Darlinghill.com) will Darlinghill.com, its owners, or its affiliates be liable for any indirect, incidental, special and/or consequential damages or loss of profits whatsoever which result from any use or access of, or any inability to use or access, the Sites or the content. To the fullest extent permitted by law, Darlinghill.com liability for breach of any implied warranty or condition which cannot be excluded is limited at the option of Darlinghill.com to the following: the supply of services again and/or the payment of the cost of replacing the goods or acquiring equivalent goods (e.g., advertisement). Applicable Laws. Darlinghill.com users and visitors are responsible for compliance with local laws, if and to the extent local laws are applicable. The Laws of the State of Vermont govern.